Colour, a key element of design, fashion, decorating, marketing, psychology, art therapy and much more, is clearly a significant component of art creation as well. Artists always used colour to express not just what they observe in their surroundings but also to express their feelings, provoke an emotional reaction in a viewer, or simply create an esthetically pleasing composition. Effect and language of colour influences our everyday life on many levels. It s a tool to express desires, intentions, it provoke reactions and influences our decision making – sometimes in an obvious way and sometimes in a very subtle way. Nature provides great inspiration for the use of colour. Each season definitely has its colour scheme. Our long northern winters are perfect time to explore colour in its many shades. This exhibition is a survey of various artists, styles and mediums from the AGA’s permanent collection such as paintings, drawings, watercolours, wood carvings, wall hangings, and sculptures. These images guide us through the winter experience in the Canadian north and then into spring and summer. Depicting the Arctic, Quebec, Northern Ontario, Algoma and the snow-covered streets of Sault Ste. Marie, these artworks showcase moments of life in the north, from children playing in the snow by Myrtle Harrison, skaters by Ken Danby to dark winter nights and stunning moons by Sybil Goldstein, as well as the whiteness of fresh snow covered hills and trees by Zoltan Szabo, hunting by Inuit people and their connection to the animals; All could be summarized in the title of a painting by Jean Hay – Enough of Ice and Snow?, a painting from her Arctic series. Bursts of colour in the Norval Morrisseau’s painting Wild Flowers, shimmering splendor of water in the painting by Ken Danby, birds and flowers depicted in the paintings by Will Ogilvie, Frances-Anne Johnston, Molly Lamb Bobak, Franklin Carmichael, to name just a few, will replace the somber qualities of the winter imagery. Enjoy the moments of life in the north seen through the eyes of the artists displayed in this exhibition. 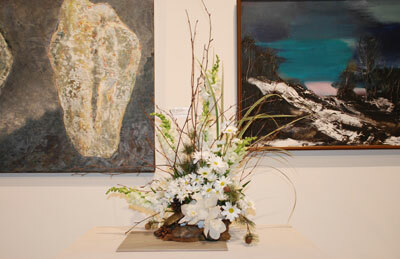 Art in Bloom has been a popular event at many art galleries and museums across North America for many years. The AGA is presenting this exhibition and event for the third time. It grew in popularity in our community and became an appropriate event to mark and celebrate the arrival of spring. We hope to see even more participants this year. 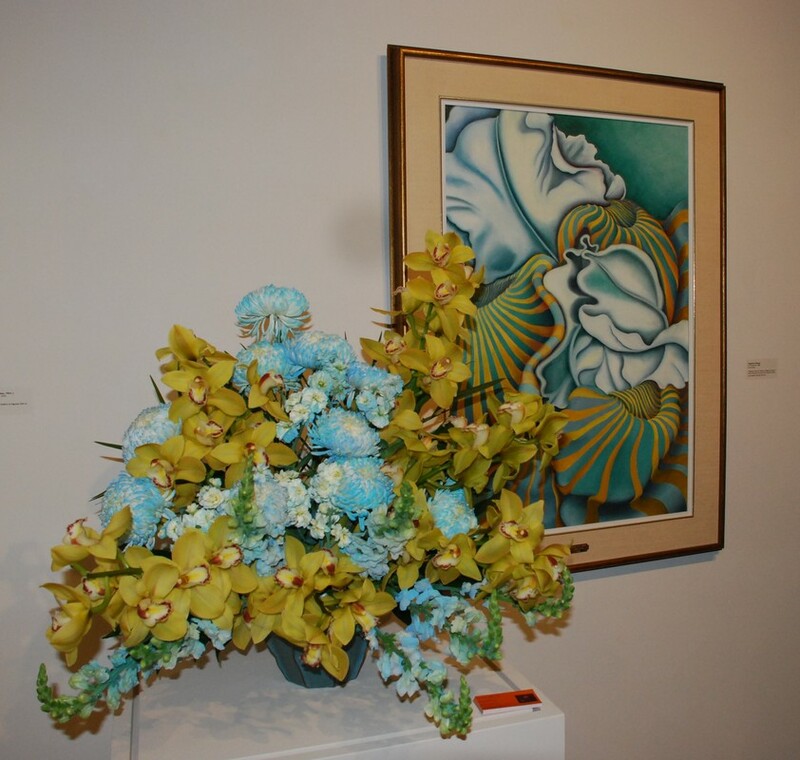 The artworks for this exhibition were selected from Gallery’s permanent collection based on the use of colour and shapes, some more obvious, some challenging, some more inspiring choices – all to be an inspiration for floral creations. 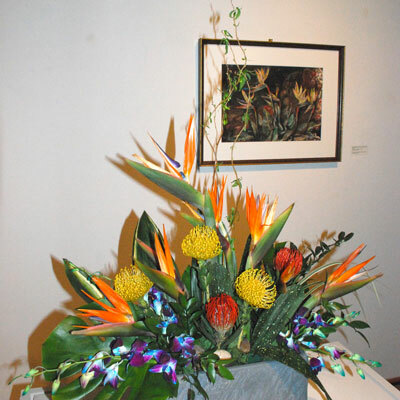 Local florists, artists and enthusiasts are invited to create a floral arrangement in response to a painting of their choice in the exhibition. There will be a dinner event on April 27th at 6 PM. Please join us for the event and vote for the arrangement you think is the best. The winner will receive a People’s Choice Trophy at the event. This year the dinner will be delicious Indian cuisine prepared by Neeta Marwah the owner of Rasoi the Indian Kitchen – a newly opened restaurant on Queen Street in the downtown area. Neeta’s support of the Gallery over the years is greatly appreciated. Her delicious food was always a great hit at several previous events hosted by the AGA so we know that it will be again a fabulous display of colour, smells and taste! The Art Gallery of Algoma is inviting all artists and aspiring artists in Algoma and beyond to participate in the fifth Annual Winter Festival of Art! This year the exhibition is called Light & Shadow. Light is what we need and strive for in all aspects of our lives. However, light always comes with a shadow – sometimes it is factual and sometimes it is metaphorical. Either way one always follows the other. This makes our days richer, more challenging, more beautiful … and many other things – depending on how we see it. We invite artists to explore many appearances of light and shadow in their artwork; through nature and in their lives. Winter is perfect time to think about light and shadow – days are short, the light becomes more precious and cherished. Long dark nights are extended shadows that conceal our surroundings. In the daylight shadows are fully visible on the shimmering white snow; winter light creates colourful shadows, more so than at any other time of the year. This call to artists is open to all ages and all mediums. The light and shadow can be expressed either as a theme of an artwork, or in a technique used; it can be factual or metaphorical component of the artwork. As every year this exhibition will be juried and the Best in Show will be announced at the opening reception on Friday February 2nd, 2018 at 7 pm. The Art Gallery of Algoma is excited to see submissions of 2018! ► Catherine Hornstein, Where’s kit? Winter is the time of darkness and introspective that enables us - or forces us - to be more inspired and creative. The exhibition is a reflection of our northern community which is also in a process of change on many levels from economic to demographic and everything in-between. Art is a reflection of every community so this Festival is an opportunity to express multiple levels of the richness in the community and celebrate the potential we have to move forward through artistic and creative expression. The artwork in this exhibition can express any aspect of a society that is a personal reflection of the place we call home. Art is always a creative force looking forward and instigating the change. Be Inspired! This year the Winter Festival will be during Bon Soo Winter Carnival. Another reason to celebrate and have fun! Celebrate art ~ an important component of every community! 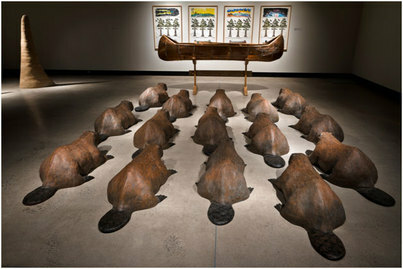 Embodiment is a 30-year retrospective of ceramic sculpture by Governor General’s Award-winning artist Susan Low-Beer. The exhibition draws major work from several series of sculptures documenting the artists’ ongoing engagement with the clay body and how it sits in space. From table-top assemblages, to the totemic stackings of Still Dances, to planar suspension of Mutable Selves, to the architecturally engaged Rocksbreath series, the artist has pushed the medium of clay into a diversity of manifestations. There is a meditative, spiritual quality to Low-Beer’s human figures that are often genderless and unclothed, but marked by ornate patterns that reference diverse cultures. 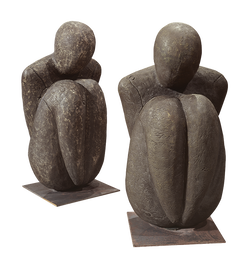 Many of the figures are composed of fragments of other figures, other bodies, amalgamated into a new whole. The show culminates with a new installation of figures that are suspended, defying gravity, finally free of weight and restriction. The body is a vessel for the spirit and the breath; Low-Beer presents works that prompt a heightened awareness of humanity and a shared perspective on this mortal coil. Co-curated by Jasmina Jovanovic of the Art Gallery of Algoma and Stuart Reid, this exhibition brings together seminal works by Low-Beer borrowed from private and public collections across Canada. The show provides context for major works included in the Art Gallery of Algoma collection. Embodiment will tour in Canada and will be accompanied by a forthcoming publication in both languages documenting this important body of work. This project is generously funded through Department of Canadian Heritage, Museum Assistance Program. This exhibition is presenting artwork from the gallery’s permanent collection, as well as art by contemporary Indigenous artists currently living and practising in the area. The idea of the exhibition is to show that some of the same issues artists have been dealing with for the last several decades are still current and present today and that the spirit of Aboriginal culture is alive and integral part of this region. Until the 1960s, the prevailing opinion was that Indigenous art depicted a dying culture, dealt with old legends, was not contemporary or relevant to current issues and therefore was seen as belonging to the ethnographic field rather than the art field. Most discussions surrounding Indigenous art was a question of whether it was actual art or craft, and whether it should therefore be presented in mainstream art galleries. 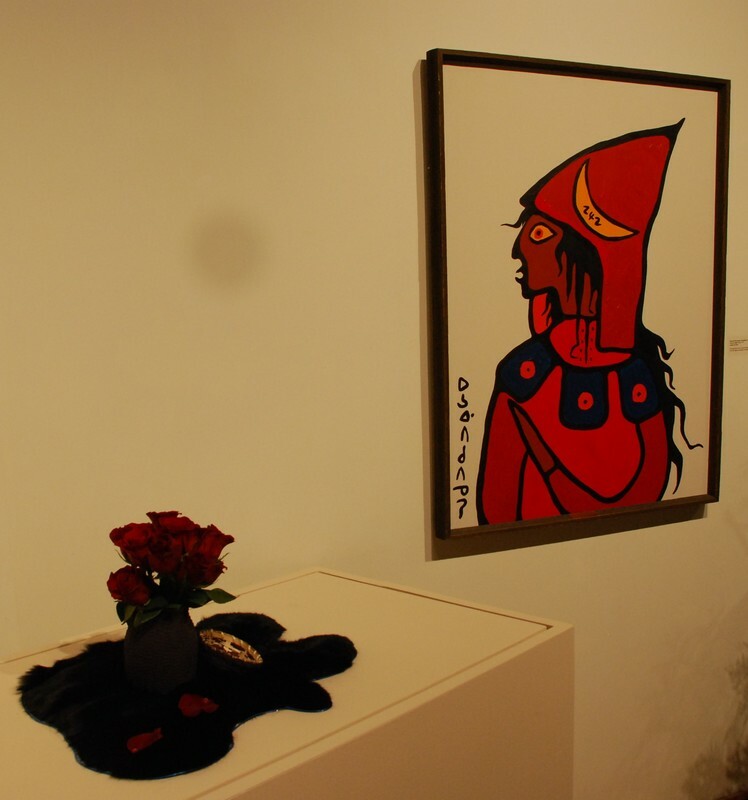 Indigenous art in Canada started to be recognized as art in the 1960s and 1970s. At that time, Canada was also facing political changes: in 1960, Aboriginal Canadians got the right to vote and became equal within the Canadian political system. Expo 67 saw ten Indigenous artists participating as a way of recognizing their contribution to the Canadian cultural scene. In 1972, the Winnipeg Art Gallery presented the exhibition “Treaty Numbers 23, 287 and 1171: Three Indian Painters of the Prairies”. The exhibition was of several Indigenous artists, which was a huge step in recognizing their art as part of mainstream art in Canada. Winnipeg was, and still is, an important city for the development of Indigenous art. 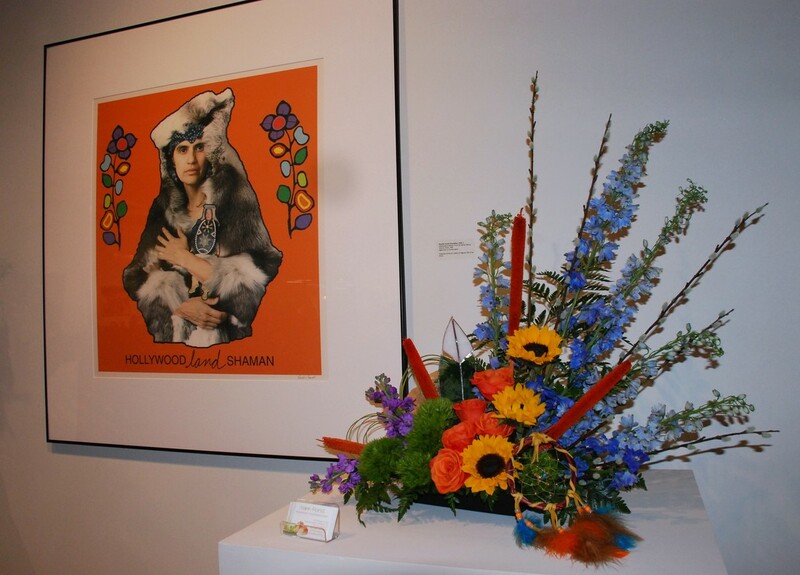 Following the Winnipeg exhibition, a group of Indigenous artists formed the Indian Group of Seven or “Professional Native Indian Artists Association” in 1973. The name Indian Group of Seven has a symbolic meaning in reference to Canadian art. 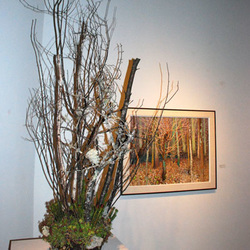 The group opened a gallery in Winnipeg in order to have better control of making and marketing their art. This was a hugely important time in the development of and for the future of Indigenous art in Canada. At this time, during the 1960s and 1970s, the Woodland School was being born. This is a very pictographic style of painting and is full of symbolic meaning, which is part of the fabric of the culture. It includes spirits, heroes, animals and natural elements. It remains alive and is practised to this day – a contemporary example of this style in the exhibition is painting by John Laford, a local artist, born on Manitoulin Island, currently living and practicing in Sault Ste. Marie. 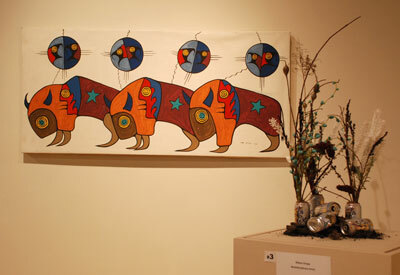 Two other wonderful examples of Woodland School in this exhibition are by Jackson Beardy and Norval Morrisseau. 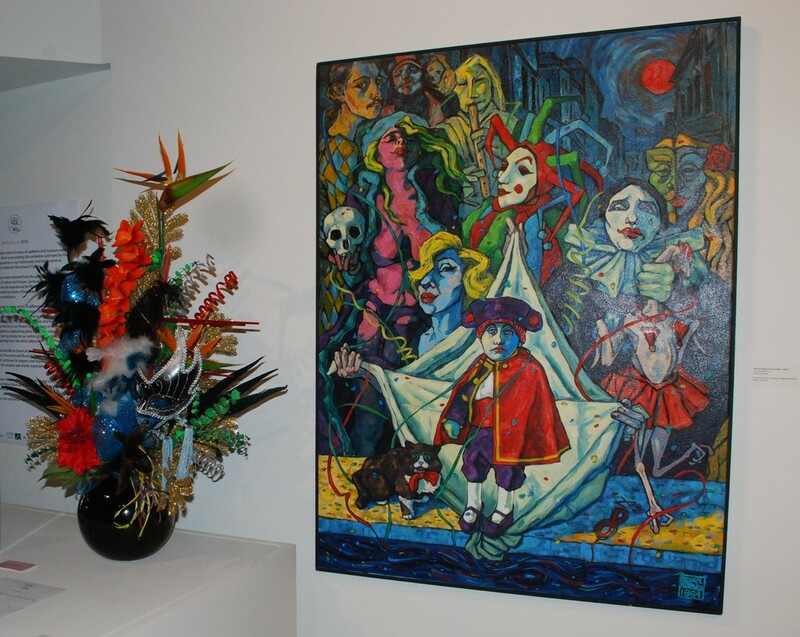 Since the 1970s, art has changed and a new generation of artists emerged on the Canadian art scene practising various techniques and styles. There are several examples of their work in this exhibition. With this event the Art Gallery of Algoma (AGA) is celebrating the arrival of spring and honouring Earth Day. The AGA is presenting this event for the first time hoping that it will become an annual event. 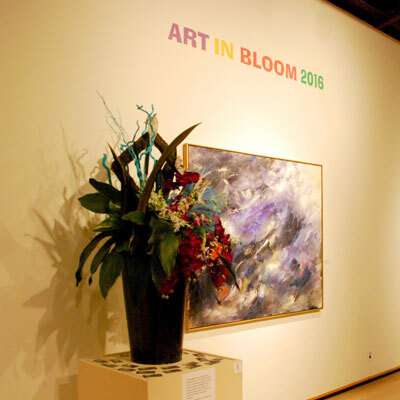 Art in Bloom is a popular event at many art galleries and museum across North America. It has been presented annually for many years. 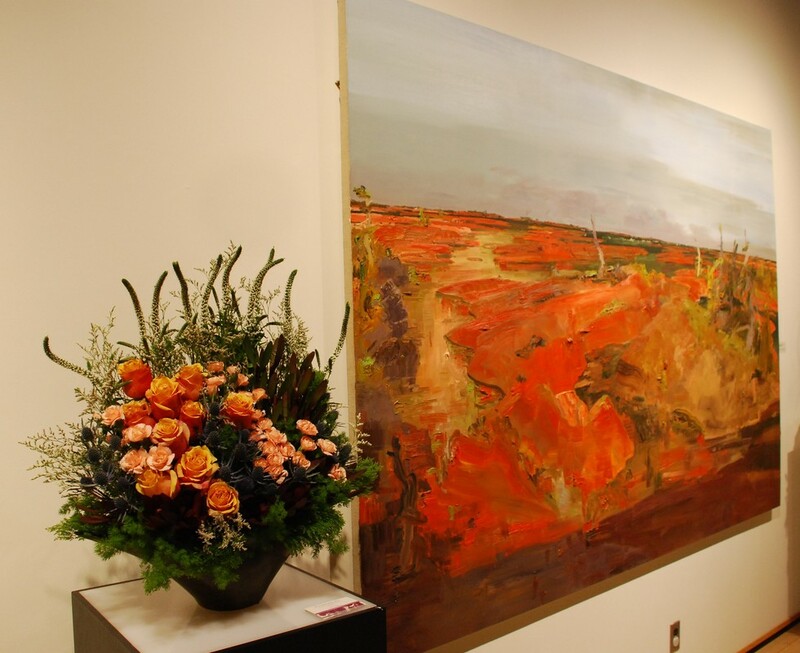 The event will involves display of art works from our beautiful and significant permanent collection and display of floral arrangements created by local florists and enthusiasts in response to a particular painting in the exhibition. 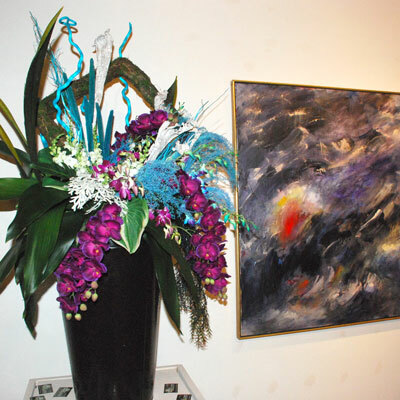 The artwork for this exhibition was selected based on the use of colour and shapes, some more obvious, some challenging or more inspiring choices s inspiration for floral creations. Our sincere gratitude for their tireless effort to make this event a success goes to Co-Chairs of the event and members of the AGA Board Neeta Marwah and Hilda Odom. The GAA appreciates contribution from the AGA staff that made the exhibition and the event possible. This event and floral displays are celebrating talent in our community. The AGA will continue to support and inspire our community and provide opportunities for creative and artistic expressions in Sault Ste. Marie and Algoma. 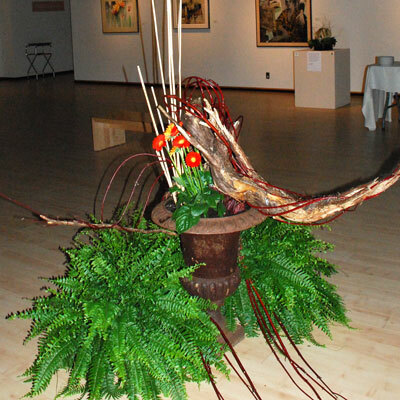 Once again, thank you to everyone who contributed to the success of the very first Art in Bloom in Sault Ste. Marie. 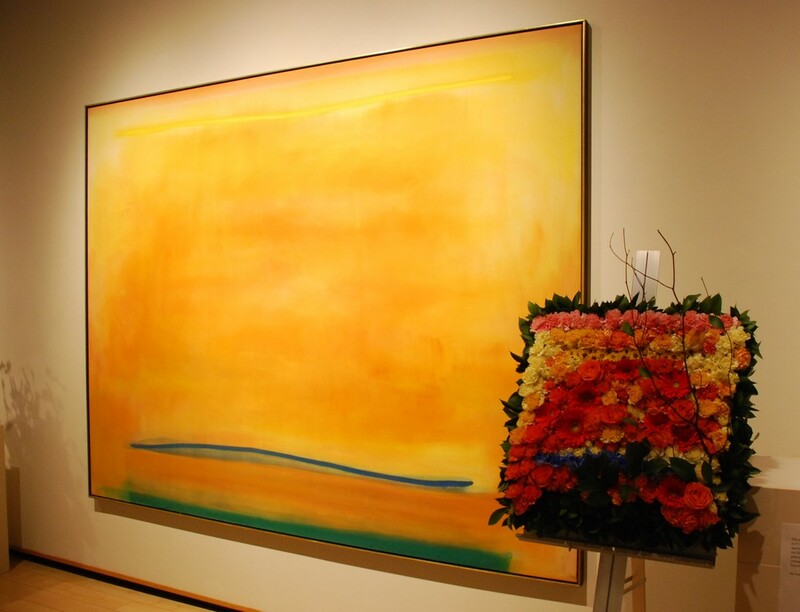 Enjoy the colours and fragrances of beautiful floral arrangements and beautiful paintings from the AGA collection. We look forward to hosting the exhibition and the event next spring. 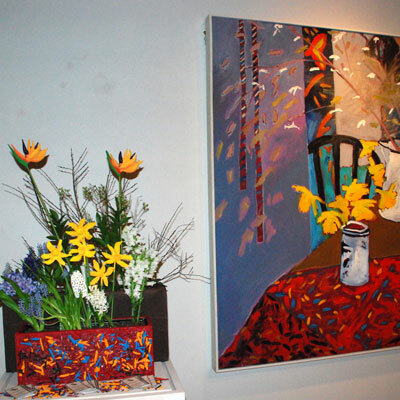 This is a retrospective exhibition of well-known Ontario artist George Raab. Raab gained international reputation for his landscape etchings. He has exhibited world-wide in group or solo exhibitions. He lives and works in Millbrook, Ontario. 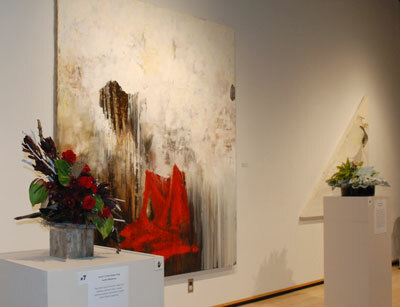 This exhibition is organized and toured by the Art gallery of Peterborough. The theme for the 2015-2016 Winter Festival of Art at the Art Gallery of Algoma is one that has universal appeal: FOOD. Following last year's theme of Celebrate,we again hope to receive a number of high quality, diverse submissions. This year's show will be on display during the darkest days of winter, through the times when many are celebrating and spending time with family and friends. The Art Gallery of Algoma is inviting you to share what 'food' means to you. A photograph of a plate of steaming pasta, a sculpture created with food, a food-themed quilt -- use your imagination and explore the theme in the most creative way you can. We hope you will bring some colour, texture, and forms that are new and innovative. Our intention is to provide a feast for the eyes during this winter’s Holiday Season! 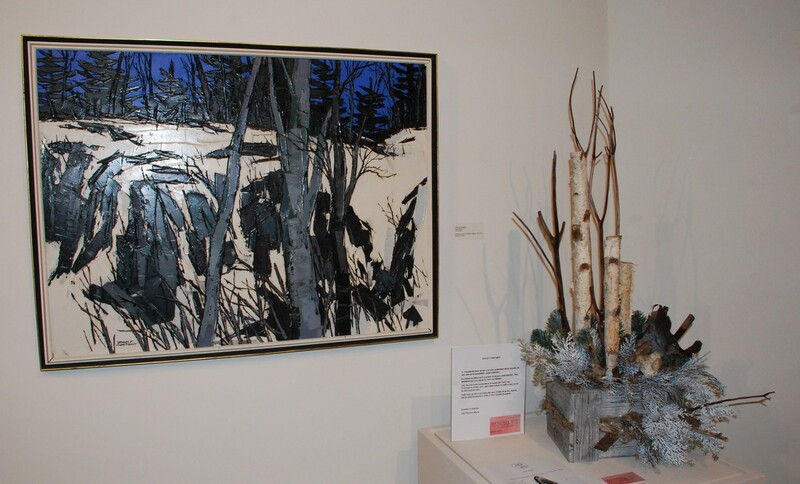 Within a few short years the AGA Winter Festival of Art has become a highly anticipated event in the Algoma artistic community. The Art Gallery of Algoma welcomes submissions from all ages, in all mediums, from all community members in Sault Ste. Marie and the surrounding region. This exhibition of works by Paul Walde explores various aspects of the work of the influential American composer John Cage (1912-1992). Cage is perhaps most well-known for his ground breaking work 4’33” a music composition with no notes. A pioneer in the use of found objects as instruments, altering conventional instruments (the prepared piano), the use of pre-recorded sounds and noise in music composition and employing chance operations to the act of composing, Cage became incredibly influential to practitioners in many areas of the arts. Walde’s interest in Cage dates back to a 1992 chance meeting of Cage the day he moved to New York and the convergence of his own interest in mycology, landscape and sound. John Cage was also an expert mycologist and was active in re-establishing the New York Mycological Society which is still active to this day. Interdeterminancy (for John Cage) (2010-2012) is a large scale graphic notation for a music performance comprised of hundreds of mushroom spores collected about an hour north of Los Angeles where Cage was born. Cage, who was an avid mushroom collector, often quipped that music and mushrooms have nothing to do with one another except for the fact that they appear next to each other in the dictionary. Paul Walde was born in London, UK. Paul’s family moved from England to Canada when he was five, when his father, a doctor, took an internship at Princess Margaret Hospital in Toronto. A year later, they relocated to Sault Ste. Marie, where Paul spent his formative years. Following the completion of his BFA at the University of Western Ontario Walde moved to New York City in 1992 to do his master’s at NYU. Walde is currently Chair of the Visual Arts at the University of Victoria, BC. His artwork is exhibited nationally and internationally in a number of solo and group exhibitions. One of the main topics of his art is the relationship between nature and culture. ​This was the first artwork acquired by the AGA. Forty years ago the passion and hard work of a dedicated group of volunteers came to fruition. The Art Gallery of Algoma was incorporated on July 7, 1975 and organized its first show -- "Hours of Warmth," displayed at the Ermatinger Old Stone House. From these humble beginnings would spring a top notch facility and an important international art collection to make the Algoma region proud. One of the most important people behind the AGA is Elsie Savoie who contributed to the formation of the Gallery and its growth for the last four decades. But the Gallery building as we know it was still a dream in 1977, when the first AGA Director, Donald DeGrow, purchased the inaugural painting for its permanent collection, Bedscape No. 1, a 1976 acrylic and collage on canvas by Ghitta Caiserman-Roth. 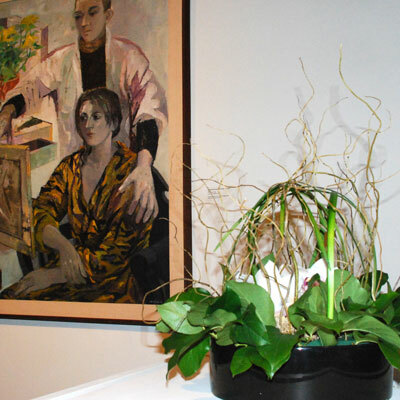 Displayed then at the gallery's temporary location in the Station Tower Building at the corner of Bay and Elgin Streets, the work would be the first of many important pieces acquired over the following years. The AGA's collection houses not only important pieces such as William Armstrong's historical watercolours of the Sault area in the late 19th Century, but more contemporary works by artists including Marcel Barbeau, Joseph Drapell, Paul Fournier, Norval Morrisseau, Jean McEwen, Ray Mead, Tom Hodgson, Barbara Hepworth, David Bierk, Rosalie Favell, Jackson Beardy, Jack Bush, William Ronald, Rita Letendre, John Hartman, Aganetha Dyck, accomplished local artists Ken Danby, Ken MacDougall, Zoltan Szabo, Robert-Ralph Carmichael, and of course works by members of the iconic Group of Seven. AJ Casson, one of the afore mentioned group, actually cut the ribbon of the building at the gallery's present site on East Street in 1980. These artists and more are included in the exhibition 40 Years of Collecting in two exhibition spaces – Main Gallery and Education Gallery. Roberta Bondar and Carole Sabiston: Dreams & Realities—Human Sensitivity of Place, presented by Dawson & Keenan Insurance, presented the work of these two living and internationally acclaimed artists who, though working in different visual media, both voice concern for the protection of the natural environment, understanding its vulnerabilities while celebrating the beauty and magnificence of place. They each explore the micro and macro of Canada, one through photography, the other through textile assemblage. The 2nd annual Winter Festival of the Arts showcased the artwork and talent of over 70 artists from our local region. 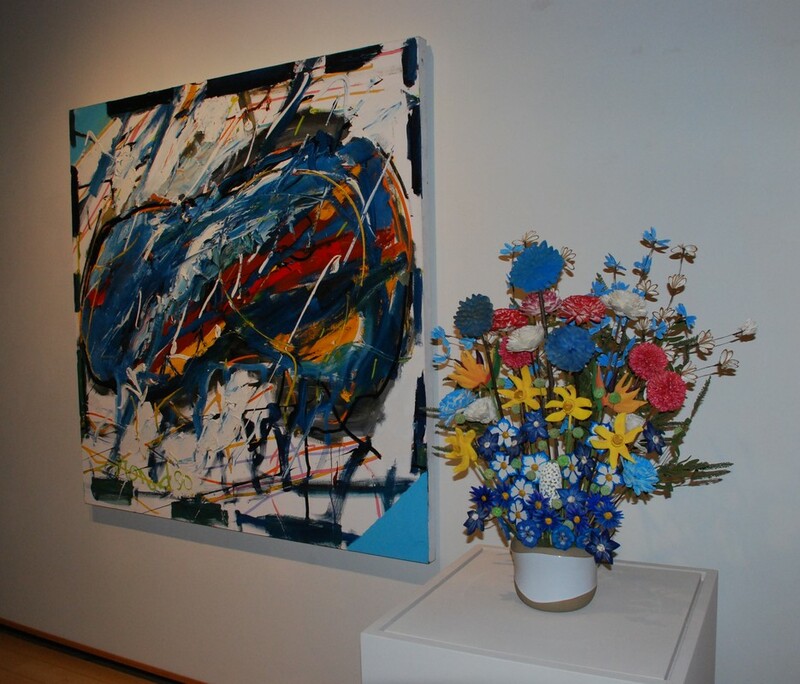 In 2015, the Art Gallery of Algoma celebrates our 40th anniversary and so inspired the theme 'Celebrate'. 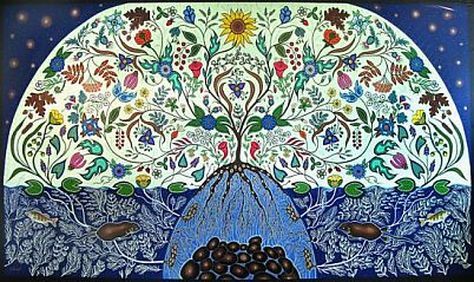 Organized by the Kitchener-Waterloo Art Gallery, this exhibition features 40 paintings drawn from the impressive Tanenbaum collection of over 140 works of naïve art. The collection features paintings by artists from more than 17 countries including Brazil, Argentina, Israel, Russia, Greece, Serbia, Croatia, Spain, Peru and Hungary, among others. The Group of Seven show, by Fall Festival, featured original paintings borrowed from local collections and select art institutions. 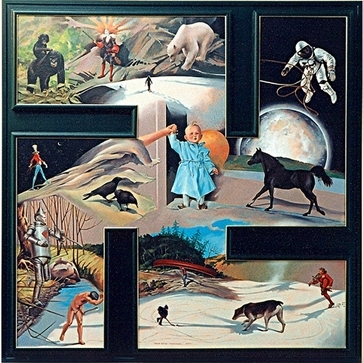 Surreal Transformations by Richard Dyck and Governor General's Awards in Visual and Media Arts 2007 recipient, Aganetha Dyck, was a collaborative exhibition. 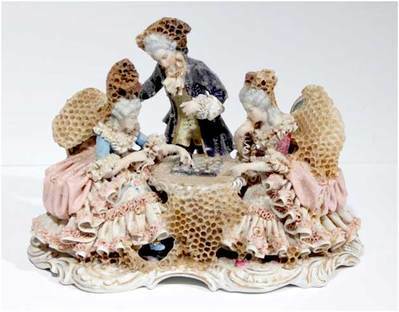 Included were retrospective works by Aganetha Dyck and also 'Hive Scans', images of honeybees working within the darkness of their hives, by Richard Dyck. 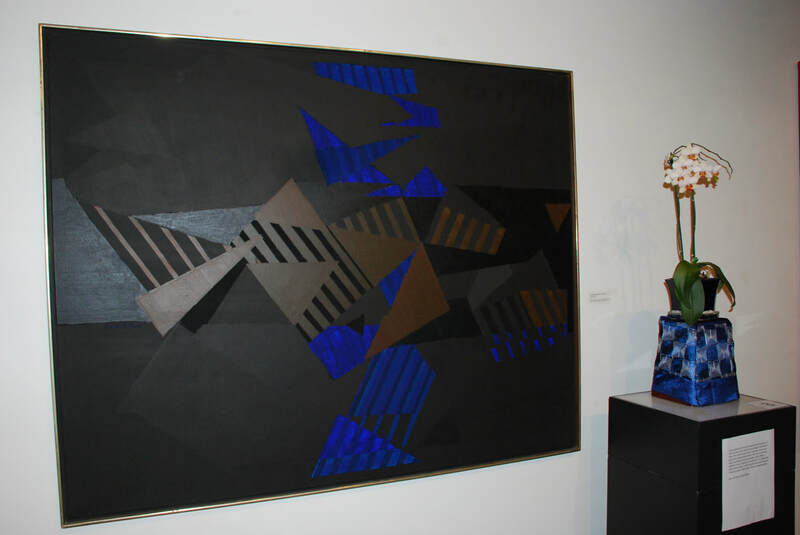 Artist Tom Benner’s Call of the Wild was a retrospective exhibition that includes works of Benner’s from an earlier date. These selections of works invite the viewers to explore our relationship to the natural world. Benner's employs a cross-disciplinary approach to his work makes use of drawing, painting, printmaking, installation and sculpture. Close to 100 artists showcased their work for this Art Festival with the theme of 'Growth'. 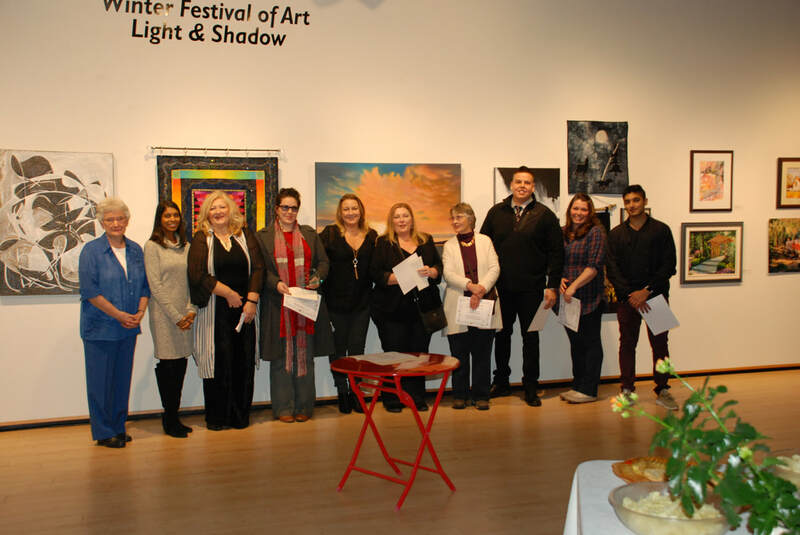 The Winter Festival of the Arts Juried Exhibition and Sale was a great success with close to 100 local entries. 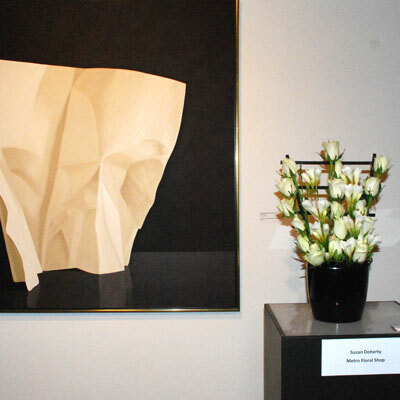 This one week show and sale attracted many visitors to the Gallery to see the artistic talent this region has to offer. 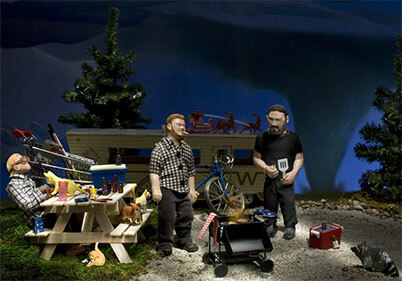 Diana Thorneycroft has cleverly created a series of photographs that deconstruct myths about the Canadian landscape as a pristine and uninhabited terrain, a view that is commonly depicted in the historical paintings of the Group of Seven and their contemporaries. Thorneycroft uses well-known paintings of Canadian artists like Franklin Carmichael, Emily Carr, A.J. Casson, Lawren S. Harris and Tom Thomson as a backdrop in her photographs that depict mischievous and at times darkly humorous scenes that are made playful by the artist’s use of small figurines, dolls and kitsch-like objects caught in strange and awkward moments. Arctic Journeys Ancient Memories featured some 20 masterfully carved sculptures in bone, stone, ivory and bronze from private and public collections. This exhibition offered the opportunity to view what has been one of the Smithsonian’s most successful exhibitions to-date attracting over 500,000 visitors. 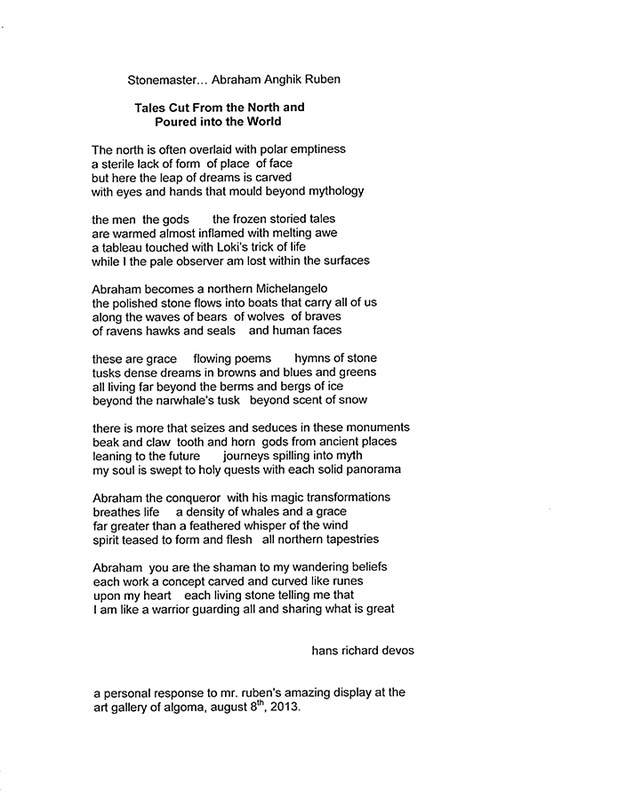 ﻿Click here to read a poem ﻿by Hans Richard Devos that was inspired by this exhibition. Men and Nature is a group exhibition that addresses changes in nature and the speed with which these changes have accelerated due to human development. 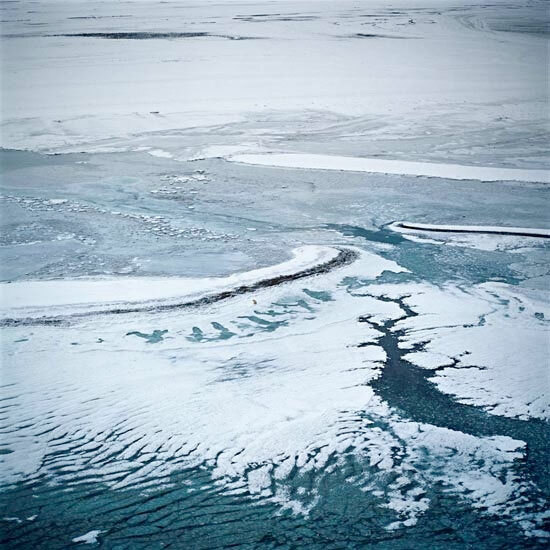 The exhibition looks at two factors that have reshaped the natural environment these are natural forces, which have been shaping the environment for thousands of years, and climate change that has been expedited by human development. Featured artists are: Dr. Roberta Bondar, Gary Blundell, Victoria Ward, Dougal Bichan, Dr. Kathy Browning and emerging talent, Jeff McKersie. In this 2012 year of centennial celebrations in Sault Ste. Marie, the Art Gallery of Algoma (AGA) is proud to present an exhibition, 100 Years of Art in the Sault, which consists of three components: historical art, contemporary art, and a community art project as part of Celebrate 100! The AGA acknowledges assistance from the Department of Canadian Heritage, Building Communities Through Arts and Heritage Legacy Fund, as well as the support from the Ontario Arts Council, the City of Sault Ste. Marie, many community partners, and the countless volunteers who worked to make this exhibition and project possible. The accompanying catalogue is available for sale in the AGA Gallery Shop. The historical component, Imagining Sault Ste. Marie, curated by Michael Burtch, acknowledges the rich history and cultural fabric of Sault Ste. Marie and includes works from the AGA’s permanent collection as well as works on loan from other institutions, local artists and collectors. The term “Modernism” describes many artistic movements that emerged in the late 19th century and continued until the 1980s. Modernism marked a time of moving away from tradition and representation to create work focused on the art object and the media involved in its creation. The 20th century was a time of great change – world wars, economic boom and bust, an increasingly pervasive media presence, a shift towards a consumerist society, an altered political landscape, among other things – and artists drew inspiration from these factors to explore their world. 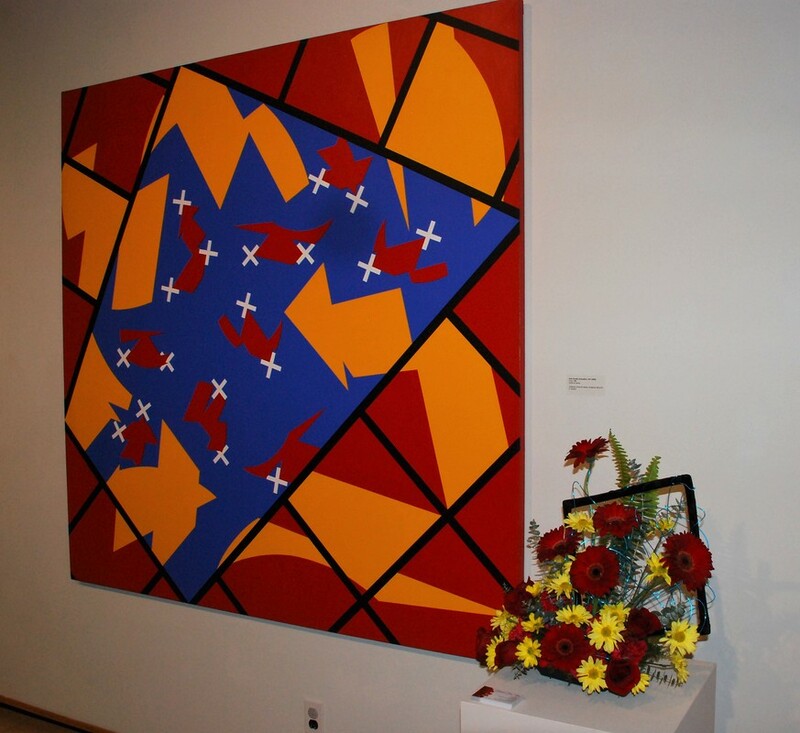 Kaleidoscope: Facets of Modernism aims to investigate this fascinating period in visual culture and includes works from the Art Gallery of Algoma’s Permanent Collection as well as works on loan from private collectors. Artists featured in this exhibition include Guido Molinari, Jean McEwen, Marcel Barbeau, Paul Fournier, Jack Bush, Claes Oldenburg, Michael Snow, Roy Lichtenstein, Tom Wesselman, Sir Anthony Caro, Jacques Huet, Larry Poons, William Ronald, Harold Town and Joyce Weiland. 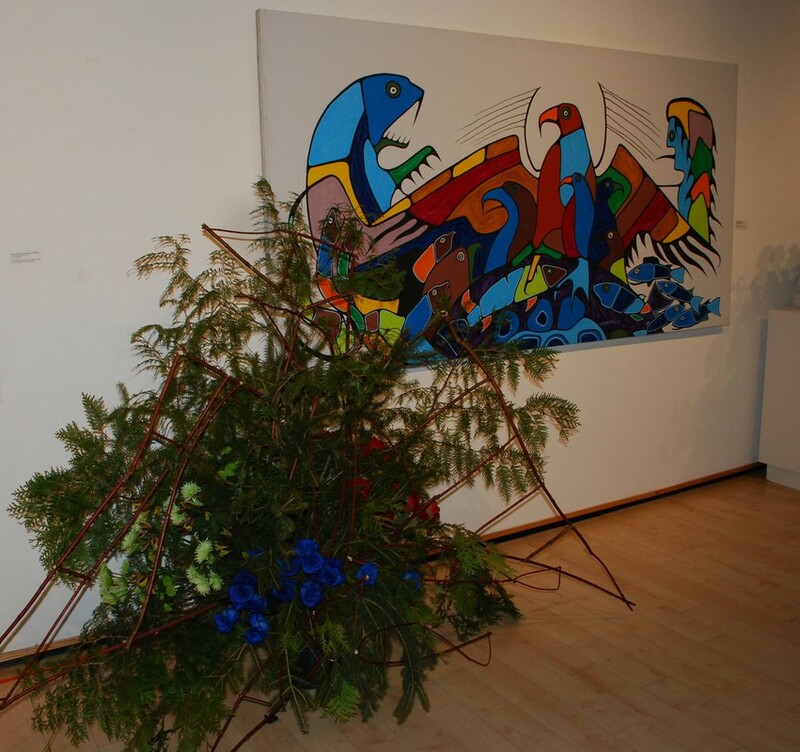 The Art Gallery of Algoma was proud to host Walking Spirits, an exhibition by established Algoma artist Robert-Ralph Carmichael. 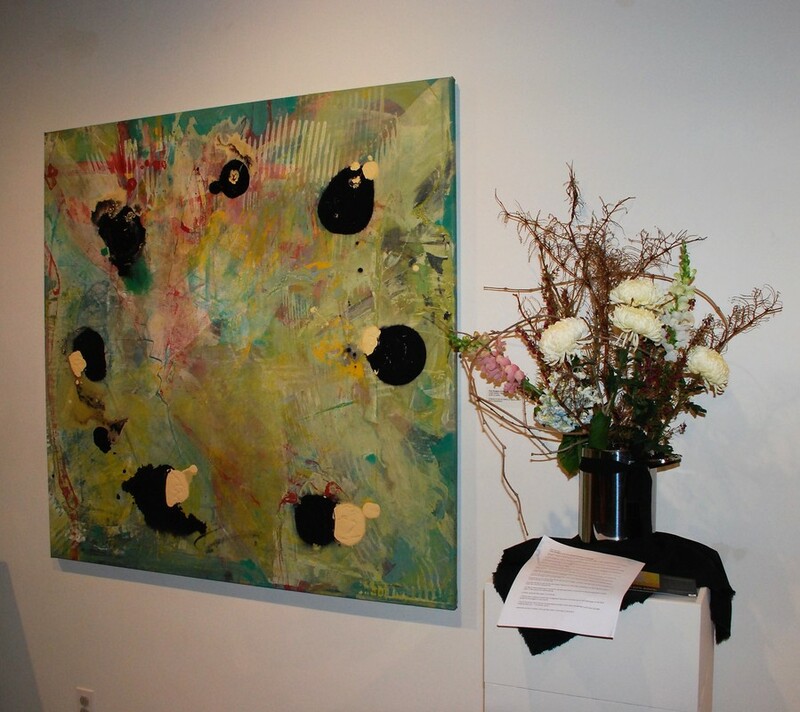 Walking Spirits showcased the breadth and scope of Carmichael’s work, inviting the audience into a gallery environment full of symbolscapes and landscape paintings of the local land and beyond. The title of this exhibition is drawn from the title of a painting by Georgia O'Keeffe. For O'Keeffe "The Faraway Nearby" expressed a deep attachment to the land of New Mexico as well as the longing and displacement she felt when she traveled away from it. In this group exhibition, four well-known and respected Aboriginal women artists - Shelley Niro, Mary Anne Barkhouse, Bonnie Devine and Christi Belcourt - each present a vision of the land from their cultural and personal perspective. In this collaborative exhibition, Pinheiro and Siney explore their shared interest in photography’s relationship to reality and the ability of the viewer to engage with the photograph as both object and image. A tension is created between the painted and photographic parts of the image, exposing an act of destruction and creation, chance and intention, irreverence and compassion. Through these imposed material interactions, the artists complicate the images in re-enactment of the multi-layered and complex nature of the experience of seeing. 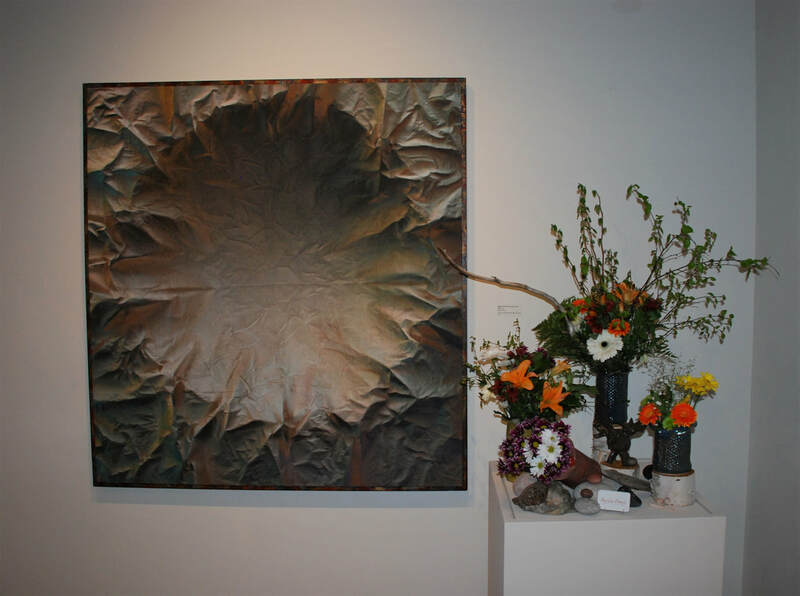 Presented by the Roberta Bondar Foundation, Within the Landscape: Art Respecting Life is a traveling exhibition and learning experience on the theme of Biodiversity and Extinction. The exhibition is an opportunity for human reflection and helps people understand the diversity of species that provides ecosystem services; their importance to sustaining human lives; and the natural beauty that is present on our planet. The exhibition's theme and other activities of the Foundation help forge an emotional bond between nature and the individual. Thank you to donors, friends and supporters including The Roberta Bondar Foundation, Essar Steel Algoma Inc., Algoma Fall Festival and Patricia Bovey Inc.
Line is mathematically, technologically, philosophically, scientifically and artistically (among other things) relevant to everyday life. Transcending media and time, this selection of works from the AGA's permanent collection explores various applications of line and the appearances it makes within the visual arts. The AGA is please to present Sartorial Relations, an exhibition of works by Sault Ste. Marie-born artist Nancy Price. Much of Price's work addresses the notion of fitting, both literally and metaphorically, often with regards to her own fit within various situations. Price describes her position to her work in saying that all crafted objects are an extension of body, including architectural environs such as the home. It is fitting for Nancy to return home to Sault Ste. Marie to present this work. Price hold degrees from OCAD and NSCAD. The recipient of many awards and nominations for her work, she has spent time working and studying in Japan, Italy and in the Stratford Festival wardrobe department. A teacher at the Alberta College of Art and Design (ACAD) and the Nova Scotia College of Art and Design (NSCAD), she now resides in Halifax. Cycle(s) is a collection of work that speaks to the ever-morphing flux of life. 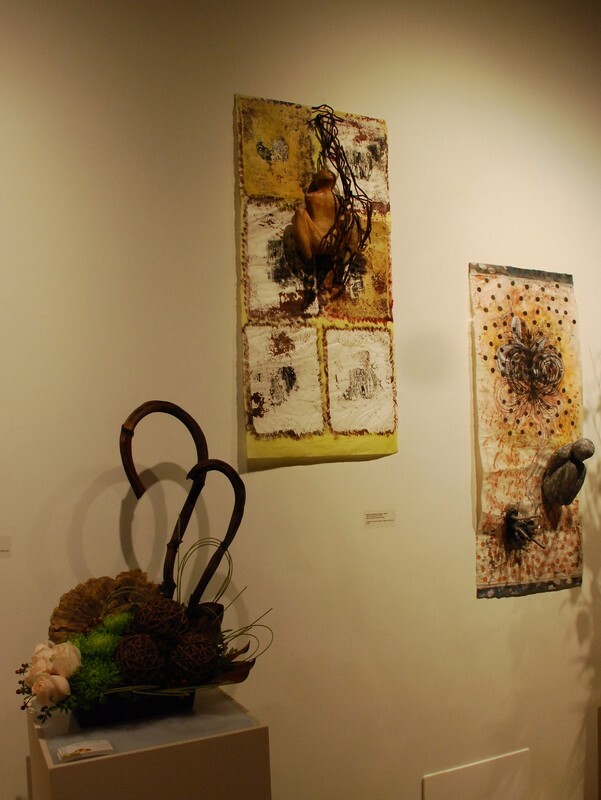 Works stemming from the personal experiences of four Algoma artists (Maria Parrella-Ilaria, Tim Harris, Deb Barban Sparks and Terry Hill) confront themes including loss, movement, pattern and transition. The gallery is transformed into a space of meditation and reflection.